The promulgation of Regulating Act of 1773 by the King of England paved the way for establishment of the Supreme Court of Judicature at Calcutta. The Letter of Patent was issued on 26 March 1774 to establish the Supreme Court of Judicature at Calcutta, as a Court of Record, with full power & authority to hear and determine all complaints for any crimes and also to entertain, hear and determine any suits or actions against any of His Majesty’s subjects in Bengal, Bihar and Orissa. This Supreme Court consisted one Chief Justice and three other regular judges or Puisne Judges. Sir Elijah Imphey was the first Chief Justice of this Supreme Court. British judges were sent to India to administer the British legal system that was used there. Sir William Jones was judge here from 1783 until his death in 1794. It, however, became an institution which was disliked and dreaded by the officers of the government and especially Indians. 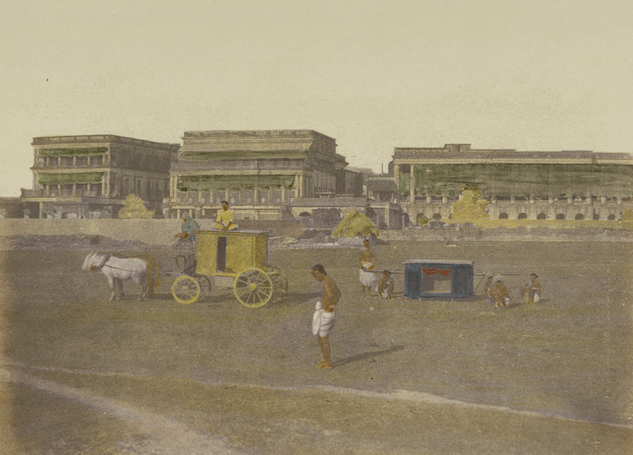 Supreme Courts at Calcutta, was abolished in 1861by enactment of the India High Courts Act. This entry was posted in Courts, Maidan/ Esplanade and tagged calcutta, court, East India Company, esplanade row, Frederich Fiebig, legal systems, old calcutta, supreme court.